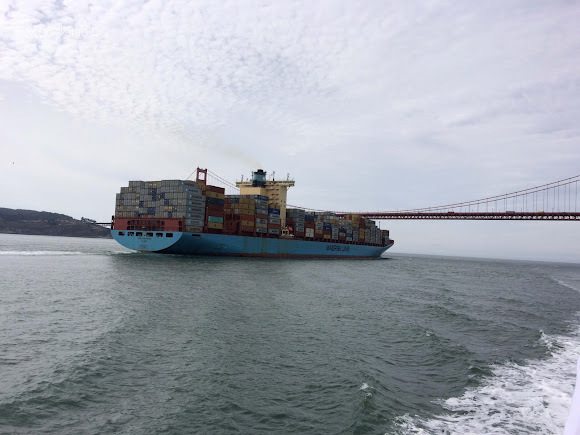 One of the highlights of our trip to San Francisco was cruising the San Francisco Bay and viewing the many landmarks while on the Blue & Gold Fleet's San Francisco Bay Cruise Adventure. 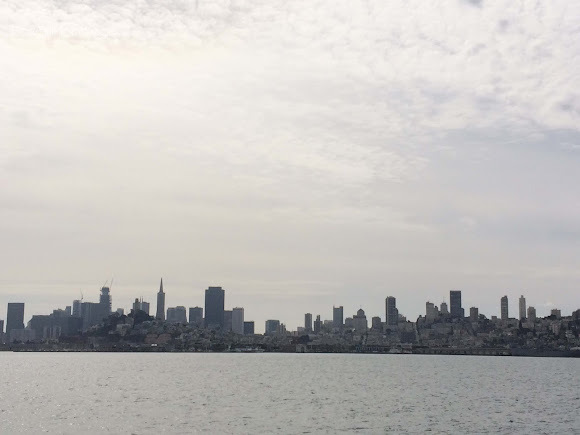 The 60-minute cruise offered spectacular views and stunning perspectives of San Francisco's icons from the water. No reservations are required. 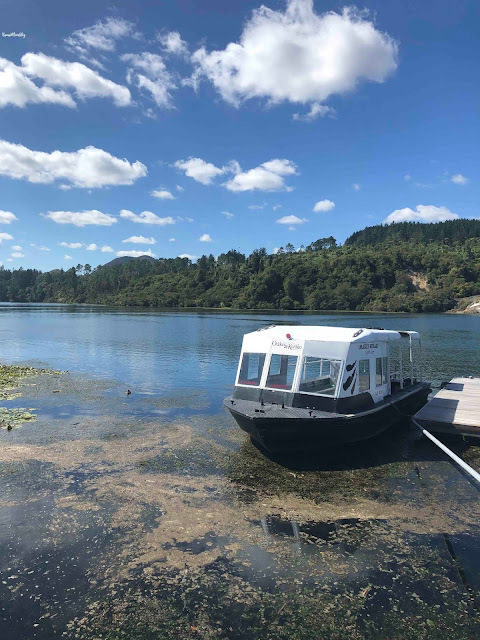 Once you get your ticket, it's first-come, first-served, and if you happen to miss your desired departure, or perhaps the weather is not cooperating, you can always go at a later date or time (tickets expire 6 months after the date printed on the tickets). It's recommended you arrive at least 15 minutes prior to departure time (30 minutes early for the busy summer months). We went stand to in line at 10:20am for the first departure of the morning at 10:45am, and there were already a dozen or so people in line. 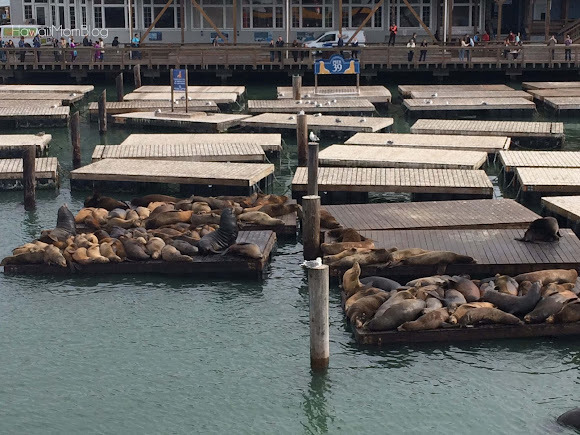 Shortly before 10:45am, guests were ushered along for souvenir photo ops prior to boarding the boat. Everyone hurried for a seat at the top deck of the tri-level boat, and although we did find a seat at the top, we ended up standing up for just about the entire cruise so we could get the best photos. The employee who took our tickets advised us that the right side, or starboard, offers the best views. 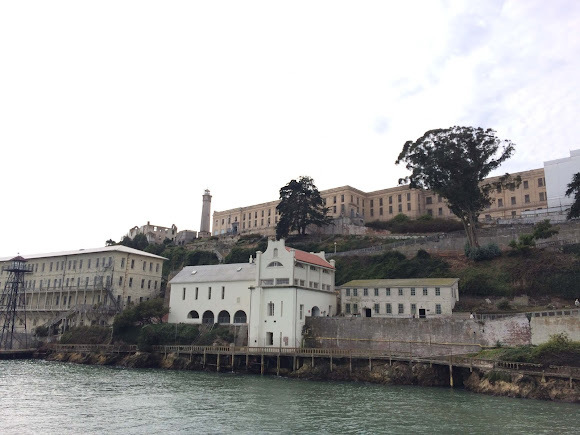 We were on the starboard side during the cruise, but there really is no "bad" side, because you are free to safely roam about the boat, and there are fab photo ops from all areas of the boat. 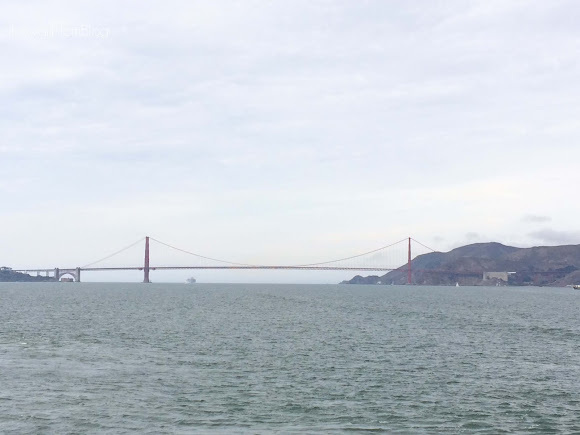 The most exciting aspect of the cruise for most onboard was traveling under the Golden Gate Bridge. 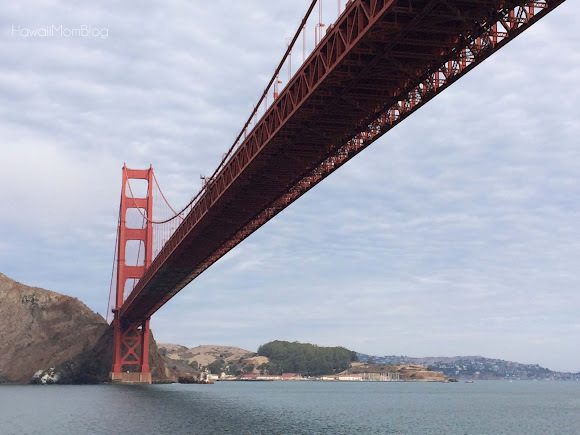 Cruising under the Golden Gate Bridge! Cameras were clicking away as we went under the massive structure. 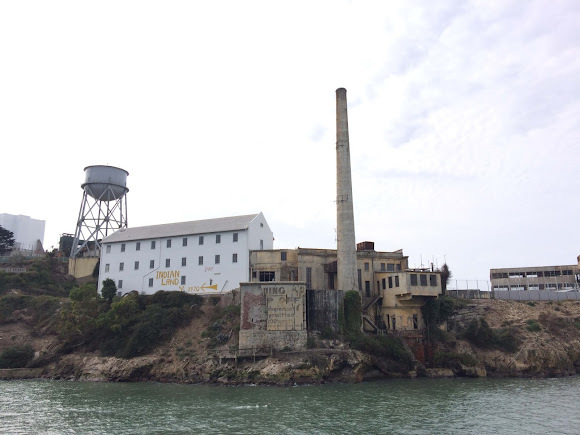 It was also neat to cruise right around Alcatraz Island. 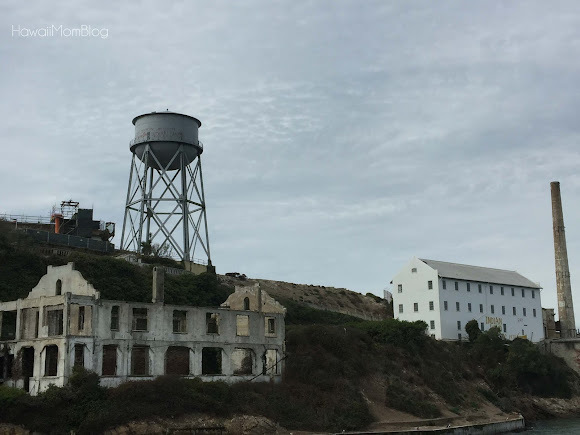 Even though we did not step foot on the island, being so close to it and being able to see the decaying buildings and the aging signs of this infamous island left me with such an eerie feeling. 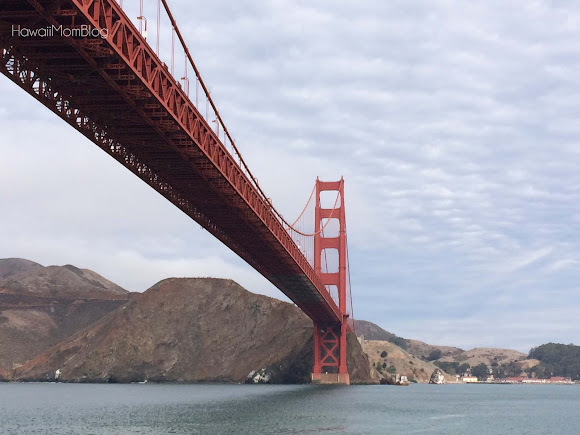 The views and photo opportunities while on the Blue & Gold Fleet's San Francisco Bay Cruise Adventure were spectacular, and I learned so much about the popular landmarks through the recorded narration being played on the boat. 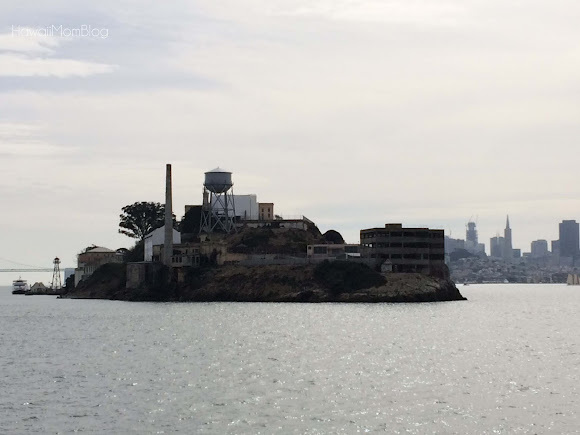 On the recordings were voices of the city as well, including people who lived through the devastating earthquake, and a former Alcatraz prisoner. 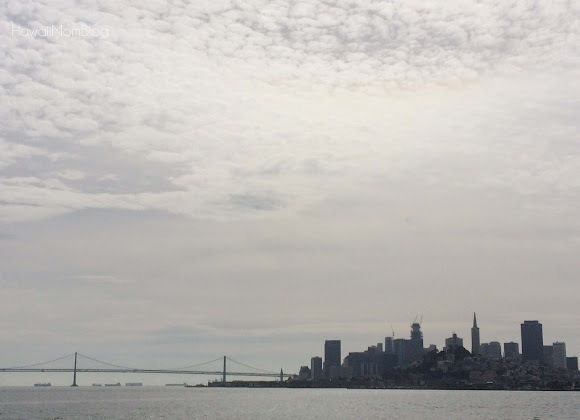 It was so interesting to hear the stories behind the people and places of San Francisco. 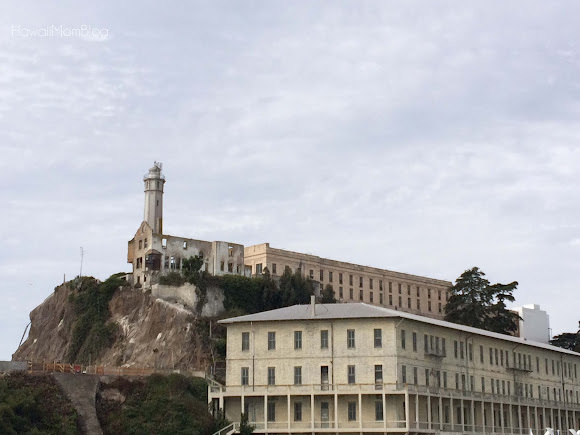 A free audio tour is available in nine languages (English, Spanish, Mandarin, Italian, French, Japanese, Korean, German and Taiwanese) via your Wi-Fi enabled device (complimentary headphones are provided). For the entire hour our family remained at the top deck, just taking in the views and taking lots of photos. If you get hungry or thirsty, there is a bar where you can purchase snacks and drinks. 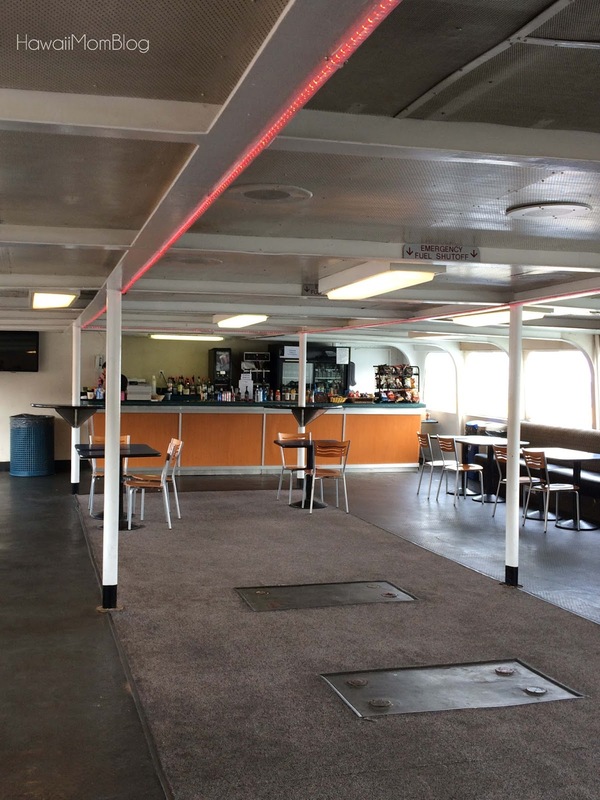 The boat also has restrooms and a charging station. It can get chilly at the top of the boat, so bring a jacket. 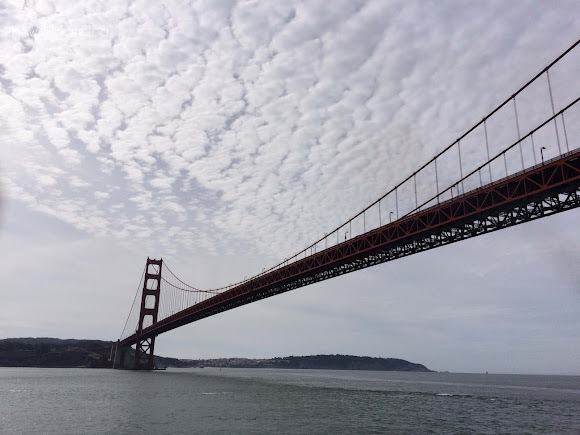 If you want to be treated to magnificent views of San Francisco and learn about the city's history and most famous icons, hop onboard the Blue & Gold Fleet's San Francisco Bay Cruise Adventure tour! 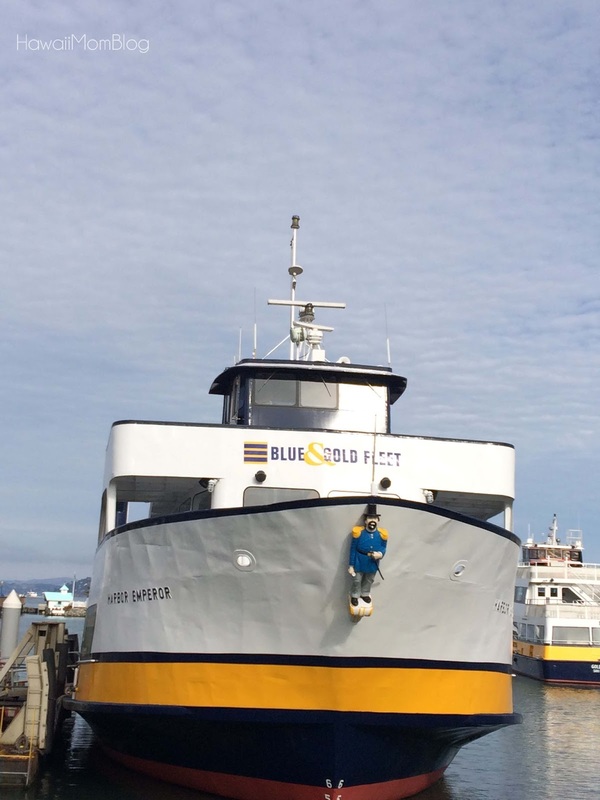 For more information and prices on the Blue & Gold Fleet San Francisco Bay Cruise Adventure and other tours offered, click here. 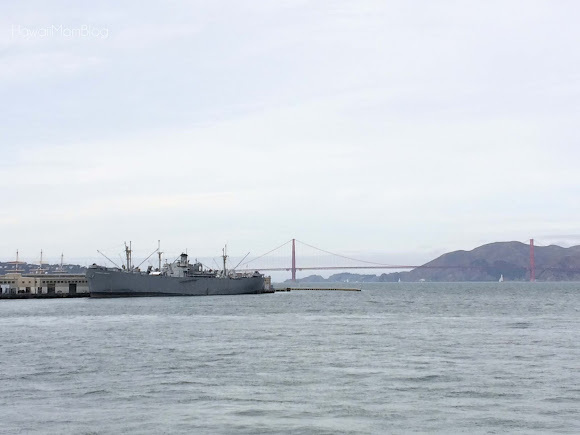 Blue & Gold Fleet tickets are included in CityPASS San Francisco. Complimentary tour tickets were received.